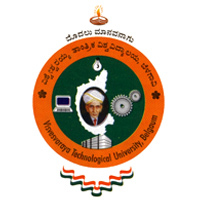 Visvesvesvaraya Technological University has more than 200 affiliated colleges across Karnataka & VTU head office is located at Belagavi (Belagaum). VTU affiliated colleges are located all over the Karnataka state University has set up its Regional Centers for the effective administration of the University. VTU has set up four Regional Centers in Bangalore, Mysore, Gulbarga & Belavagi cities, under the provision of VTU act. These Regional Centers will help the students to get there university related work done without visiting the VTU head office which is Located in Balagavi. Below you can find VTU Regional Centers address & contact details. For more details regarding VTU Regional Centers check out VTU Official website.